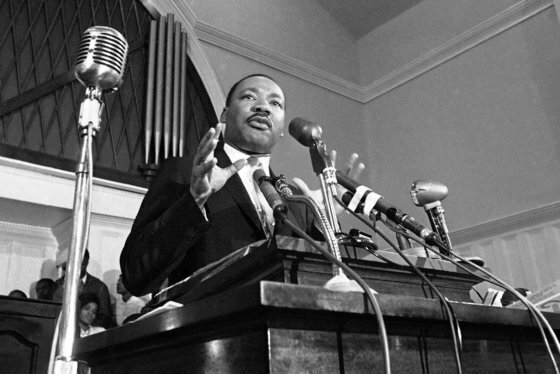 EDITOR’S NOTE: You can find more coverage on the 50th anniversary of the assassination of Martin Luther King Jr. and its aftermath at WTOP’s D.C. Uprising: Voices from the 1968 Riots. From Columbus, Ohio, Dixon was a young girl when King was shot and killed April 4, 1968. She said she has tried to paint a picture for her teenage daughter about the hope that King elicited for blacks, whites, and people of all colors. “It was a time where things are possible. And you realize that change is possible and needed, and you can’t just talk about it, or pray about it, you have to do it,” Dixon said. Her daughter, CharAnna said King’s message resonated with her. 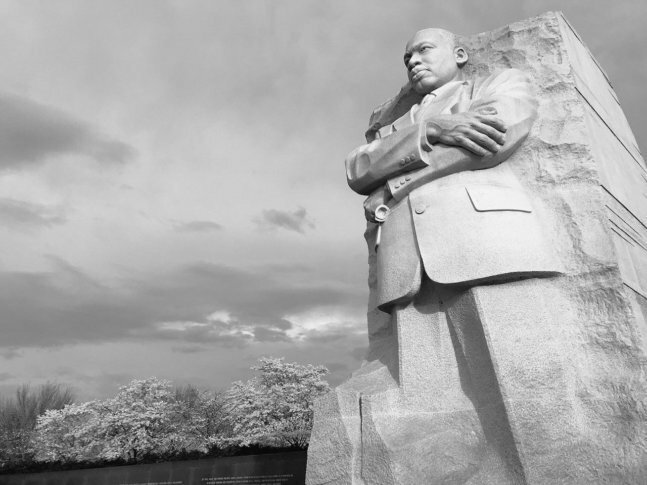 Gazing at the statue of King, standing with arms crossed, looking toward the Jefferson Memorial, many visitors remarked on King’s bravery and magnetism, during the 1960s fight for civil rights. Caldwell said she was most impressed by King’s ability to mobilize people of different backgrounds to strive for a common goal. “Barack Obama had the eloquence and background, but as far as one person mobilizing — maybe it’s not going to be one person, maybe it’s going to be multiple people who do that,” Caldwell said. With modern-day contentiousness and political gridlock and grandstanding, I asked if Caldwell and her husband, Medula, of North Carolina, believed that peace is still achievable. His wife continued his train of thought. Despite her uncertainty about the possibility of enduring peace, Dawn Caldwell said she wonders whether King’s vision will ever be attained. “Will we ever achieve it? We can hope we can get closer,” she said. “He was a young man,” said Jeanne Wickliffe, visiting the memorial with the Dixons. “Had he lived, you can start imagining, with his great mind, what he could have accomplished or led others to accomplish. Yet Gail Dixon said the divisive climate of 2018 will make achieving King’s goals difficult.